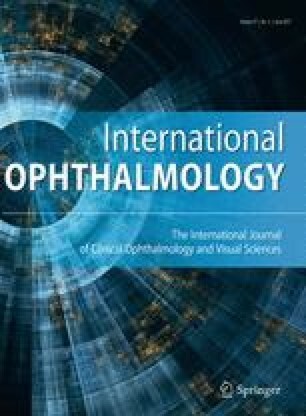 There is no report focusing on the visualization of the iris incarceration or the iridocorneal adhesion during keratoplasty by use of microscope-integrated intraoperative optical coherence tomography (MIOCT). The purpose of this study is to report the usefulness of MIOCT for detecting iris incarceration and iridocorneal adhesions during penetrating keratoplasty (PK) and deep anterior lamellar keratoplasty (DALK). MIOCT system was applied both in a patient who underwent PK for corneal leukoma and in a patient who underwent DALK for keratoconus. During the surgeries, we obtained cross-sectional images around the host–graft interface by operating the foot switch of microscope without discontinuing the surgical procedure. Intraoperative MIOCT findings and postoperative outcomes were examined. An iris incarceration at the host–graft interface was visualized during surgery after corneal suture in PK, which allowed surgeons to return the iris to its original position instantly. In DALK, misdirected air into the posterior chamber could also be seen at the end of the DALK. This iridocorneal adhesion was resolved by fluid injection through paracentesis. Secondary glaucoma and graft rejection have not occurred postoperatively in both cases. The MIOCT system provides advantages such as prevention of secondary glaucoma and rejection following PK and DALK. We would like to thank Ms. Yukiko Mimuro for revising the manuscript.